John Green’s latest book Turtles All The Way Down is the long-awaited novel for his fans. Turtles All the Way Down is a brilliant story about love, resilience and the fact how powerful a lifelong friendship can be. The release date of Turtles All The Way Down is 10th October 2017. Let’s have a detailed look on the Turtles All the Way Down synopsis below. So, starting with the title of John Green’s new novel, Turtles All the Way Down. Well, the title made everyone pretty curious. John Green has taken the title ‘Turtles All the Way Down’ from a philosophical joke about the universe that roughly means it mysteriously extends to the infinity. This gives a hint that the book has a theme of unsolved mystery too. The story of Turtles All the Way Down is again about a teenage girl named Aza Holmes. She is sixteen-years-old and trying to solve the mystery of missing billionaire, Rusell Pickett, who has escaped. Aza is although a high school girl, but, there is a $100,000 reward for the one who finds him. So, Aza and her friend Daisy decides to investigate. As the book progresses, both girls try to hunt down Rusell Pickett’s son, Davis in a hope that he could be the key to get hold to Russell. Recently, the author revealed the final Turtles All the Way Down cover. Definitely, this book written by John Green after so long is going to be a fantastic novel to read. The award-winning author is all set to win millions of heart once again. 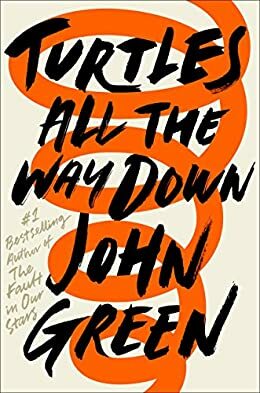 This is a pre-release review of the book Turtles All the Way Down by John Green and it will be updated as soon we get our hands on it. 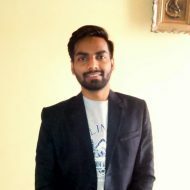 The release date of the book is 10 October 2017. Meanwhile, you can pre-order your copy on Amazon. You can also get Turtles All the Way Down signed copies on the author’s website. John Green born on 24 August 1977 in Indianapolis. He is a famous American Author. In 2014, John Green was included in the ‘Top 100 most Influential people’ in the world by the TIMES magazine. John is best known for his books like ‘The Fault In Our Stars’ and ‘Looking for Alaska’. Both were adapted to Blockbuster movie with the same title name. Check out all books written by John Green.